* Place your baby to sleep on his or her back at naptime and night time. * Use a safety approved crib with a firm, tight-fitting mattress. * Remove all soft bedding and toys from your baby&apos;s sleep area (this includes loose blankets, bumpers and positioners). * DO NOT put your baby to sleep on any soft surface (sofas, chairs, water beds, quilts, sheep skins, etc.) . * Room sharing is safer than bed sharing. 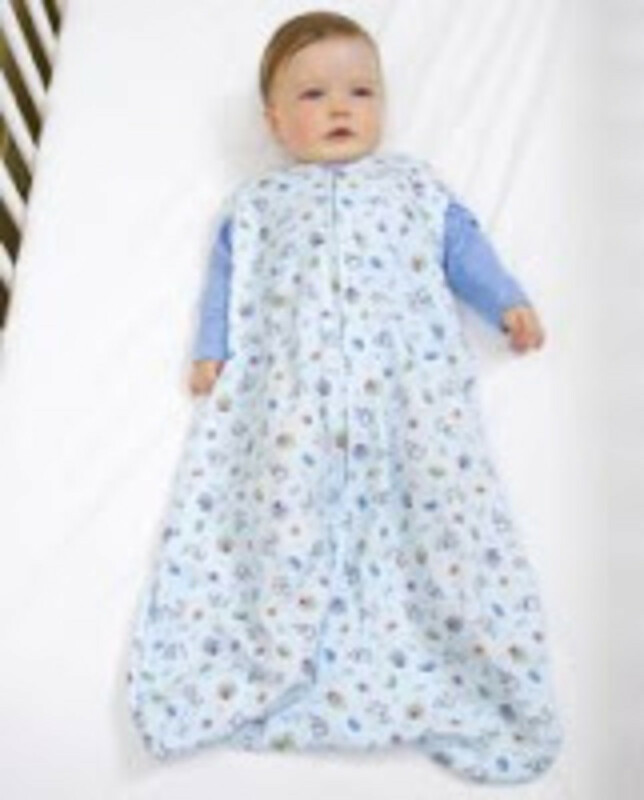 * DO NOT dress your baby too warmly for sleep; keep room temperature between 68-72 degrees Fahrenheit. * DO NOT let anyone smoke around your baby or be in a room where someone has recently smoked. * Educate relatives, baby sitters and other caregivers about these important safety tips. * Tummy time is important for babies while they are awake and being supervised. Place your baby on his or her tummy for playtime to help strengthen their upper body muscles. Win it! One lucky reader is going to get a Halo SleepSack Wearable Blanket (you pick the color; value $24.95). The Halo SleepSack is the perfect solution to the &apos;no blanket&apos; rule in cribs. To enter the giveaway, visit the Halo site here and peruse their safe sleeping options. Then come back to Momtrends and tell one reason you love Halo.